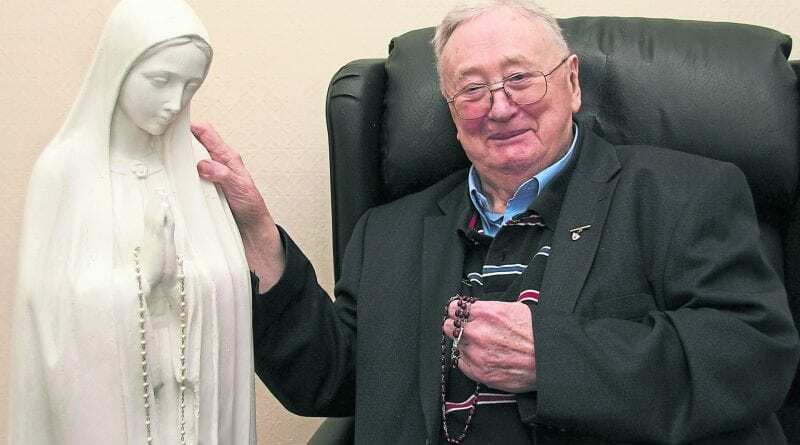 Recounting his own “miracle”, Des said: “I asked a builder to keep an eye out for a statue of Our Lady for me, and he dropped it off in the porch. I asked him to give me a few minutes to say a Hail Mary, after I placed the rosary beads from Medugorje around her neck. “I said the Hail Mary and placed my left hand on top of her head and asked her to look after me and give me my health back. I have had a wheelchair for 10 years and was only able to walk ten yards before having to sit down. A SHRINE erected to Our Lady of Fatima in Limerick withstood the gales of Hurricane Ophelia – and has now become a major attraction, with people flocking from across the country to receive their own “miracle”. For over a decade, Mr Fitzgerald, a widower and father of four, was confined to a wheelchair and was only able to walk with the use of a walking aid after injuring his leg in an accident. 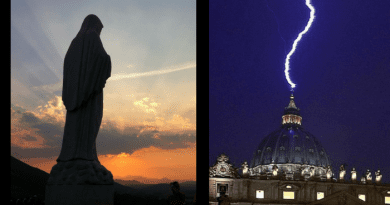 However, he said to his amazement, within 10 minutes of laying his hands on the statue and saying a Hail Mary, he was able to walk unaided again. One week on since the Limerick Leader featured his story, the grandfather said he has seen dozens of people travel hundreds of miles across the country hoping that they too will receive some small reprieve from their own ailments. Among the first visitors to his shrine, which is illuminated with blue lights in his garden, was a lady from Kilkenny, who travelled with a group of friends to say a decade of the Rosary at the shrine. 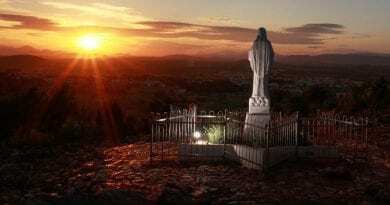 “She told me she was going for an operation and was worried it might be cancer, and asked if she could take the rosary beads from Medjugorje off the statue and touch her stomach with them. It was very emotional. 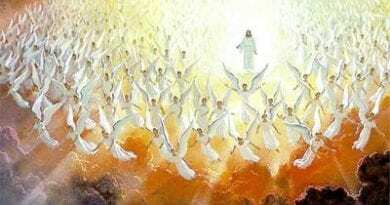 I cried when I saw it,” he told the Leader. Others, he said, have knelt down at the statue and prayed for their own special intentions, including the parents of a wheelchair-bound child from Cashel, Tipperary. A mother from Tuam, Galway, was carried up the steps to the shrine by her son, so she could touch it and say a prayer. Mr Fitzgerald said people have offered him money to say a prayer at the shrine, which he has declined. He has received envelopes with petitions, which he intends to hand in to the Redemptorist Church at Mount St Alphonsus in the city. “I don’t want anything. The one mistake I made was not putting up a collection box where people could leave their petitions. Inspite of severe gales, he said he would not move Our Lady inside the house this Monday as Hurricane Ophelia approached. “I hadn’t the statue 10 minutes when I was able to walk fully. It was a miracle straight away. To prove it to myself, I walked out of the house, down to the gate and back up again. Before I was barely able to stand up for a minute on my own,” he told the Limerick Leader. Some 55 people attended the unveiling of the shrine last Friday night, and dozens more have attended his home since. The shrine in Greystones is available to the public to view through the side entrance of his house, from 11am to 8pm each day. 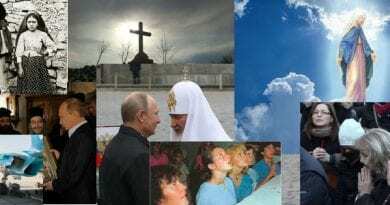 ← Mystic Post Heading to Medjugorje for the First Time on a Spiritual Journey- So Excited !